Elsa H. Jones, Administrative Law Judge (ALJ), Office of Administrative Hearings, Special Education Division (OAH), heard this matter on January 12, 2007, and on February 15 and 16, 2007, in Palmdale, California. Petitioner/Student (Student) was represented by Angela L. Gilmartin, Attorney at Law. Student’s mother (Mother) was present throughout the hearing on Student’s behalf. Student’s father (Father) was also present on the first day of the hearing. Respondent Palmdale Elementary School District (District) was represented by Lee G. Rideout, Attorney at Law, Fagen Friedman & Fulfrost. John Porter, Director of Special Education, and David B. Brown, Assistant Superintendent, Special Education/Student Services, were also present throughout the hearing on behalf of District. Sworn testimony and documentary evidence were received at the hearing. At the conclusion of the hearing, the matter was continued until February 28, 2007, for the parties to file closing briefs. The parties timely filed closing briefs. Student’s closing brief was marked as Student’s exhibit 17. District’s closing brief was marked as respondent’s exhibit B. On February 28, 2007, the matter was submitted for decision. 2. Did District fail to assess Student in all areas of suspected disability and/or fail to appropriately assess Student from May 2006 through the present? 3. Is Student entitled to reimbursement for the assistive technology/augmentative alternative communication device (AT/ACC) assessment performed on July 19, 2006, by Dynamic Therapy Solutions? 2In his due process complaint, Student alleges that he is entitled to be moved to another school setting based upon his school’s status as a Program Improvement Year 4 school under the No Child Left Behind Act of 2001. Student withdrew this contention at the commencement of the hearing. 4The first page of the Washington IEP states, “Date of Most Recent Evaluation: 9/9/2005.” The initial page of the Present Levels of Educational Performance refers to an evaluation completed by an evaluation team on May 25, 2005. 5 Student contends that this is an error. In support of his contention, Student cites the fact that the box referring to whether the Student has “communication needs,”is also checked “No.” Checking the communication needs box “No” is obviously an error, in view of the numerous references to Student’s communication needs throughout the IEP, and the fact that the IEP provides speech and language services. In contrast, the directions next to the box regarding AT require that, if the box is checked “Yes,” the necessary AT devices and services are to be described in “appropriate sections” of the IEP. The Washington IEP has no descriptions of AT devices, such as Student’s AAC device. Further, Chinook did not provide Student with an AAC device. 6 District’s initiation of its own OT assessment lends credibility to its position that it did not have the PTST OT report discussed elsewhere in this Decision by the time of the June 20, 2006 IEP meeting. If District indeed had the report, then there would have likely been no need to perform another assessment. 7Mother testified that no meeting was held to formulate this addendum IEP. Student raised no issue regarding the validity of the addendum IEP by reason of the failure to notice and hold an actual IEP meeting to implement the recommendations of Ms. Duran’s report. 8Dr. Porter, District’s Director of Special Education, testified that District would have incurred a charge of $600 for the Dynamic Therapy Solutions assessment and report. This is not sufficient evidence, however, of the actual cost of the subject report incurred by Kaiser, which is the amount of the reimbursement that Student seeks. Student offered no proof as to the cost of the assessment to Kaiser. It is possible that Dynamic Therapy Solutions does not charge a public entity, such as District, the same price as it would charge Kaiser. Volume discounts, or other factors, may also apply to vary the charges of the assessment and the report, depending upon the entity for which the assessment and report are generated. Student contends his June 2006 IEP, denied him a FAPE. Specifically, Student contends that his June 2006 IEP, failed to include appropriate annual goals and short-term objectives, because it was not based upon Student’s most recent assessment results from his previous school district in Washington. Further, Student contends that District failed to provide Student with the necessary and appropriate speech and language services, OT, a one-to-one aide, adaptive physical education (APE), and an augmentative alternative communication device (AAC device). Student further contends that his placement at Manzanita Elementary School (Manzanita) was not an appropriate environment, as the school was not clean, was not safe, and the teachers and personnel were unqualified, untrained, and hostile to students. Student alleges that District failed to perform necessary assessments, such as an FAA and an AT/ACC assessment, which would have revealed that Student required behavioral support and an AAC device. Student contends that he is entitled to the following: (1) compensatory education and additional services in the area of OT, to be provided by Carmen Rojas Duran, Student’s current provider; (2) compensatory education and additional services in the area of speech and language services, to be provided by an NPA; (3) a one-to-one aide, including during transportation to and from school; (4) an FAA and a BIP, (5) placement in another school, whether a non-public school (NPS) or another District school; (5) reimbursement for the AT/ACC assessment obtained by Student’s parents; and (6) an AAC device. District denies that Student is entitled to any relief. District contends that, at all relevant times, it has consistently offered and provided Student a FAPE. District contends that it relied upon the assessments upon which the Washington IEP was based, and its own OT assessment, and that it provided appropriate services in accordance with Student’s unique needs. District contends that Manzanita was an appropriate placement for Student, and that its teachers and personnel were qualified. District further contends that it was in the process of performing an AT/ACC assessment when it learned that Student, without District’s knowledge, had already arranged for such an assessment. District further contends that it was attempting to schedule an IEP meeting to discuss the results of the AT/ACC assessment, and was also in the process of performing a behavioral observation of Student, when, without prior notice, parents elected not to send Student to school. 1. Student was born on January 1, 1996. He is currently 11 years old, and in the fifth grade. When he was approximately three years old, he was diagnosed with autism. Student has deficits in the areas of sensory modulation, self-care skills, fine motor skills, and visual motor skills. He is nonverbal and communicates through a combination of facial expressions, physical closeness, vocalizations, and some use of photographs and picture symbols. Student has also used various communication devices of various levels of technology. These include the Picture Exchange Communication Systems (PECS), a communication notebook, and a display voice output communication aid known as a Tech/Speak. The Tech/Speak device has an array of icons on it, and, when Student pushes an icon, a pre-recorded voice states what the icon represents. 2. Student commenced residing in the District in April 2006, when his family moved to the District from the state of Washington. Student was then 10 years old and in the fourth grade. Immediately preceding his family’s relocation to California, Student received special education services in Washington as a student with autism. He attended a special day class (SDC) in a local school, Chinook Elementary School (Chinook), for two hours a day. For the remainder of the school day, he was home-schooled by Mother. Mother has no teaching credentials, and is not formally trained as a classroom teacher. The services Student received at Chinook were supplemented by a variety of services provided by the state and by private providers. His most recent IEP from Washington, dated April 20, 2006, (the Washington IEP) noted that Student’s unique needs were in the areas of academics, social skills, adaptive skills, communication, and fine motor skills. 3. When Student enrolled in the District, Student was placed in an SDC in Manzanita. He attended Manzanita until the end of the 2005-2006 school year in late June 2006. In July 2006, he attended Buena Vista School, also in the District, for extended school year (ESY) services. The ESY session ended at approximately the end of July 2006. On approximately September 5, 2006, when Student commenced fifth grade, Student returned to an SDC class at Manzanita. His last day of attendance at Manzanita was approximately October 20, 2006. Thereafter, his parents elected not to send him to school, but have kept him at home. District has offered no services to Student since he ceased attending school. 4. On May 5, 2006, as part of the process of enrolling Student in the District, Student’s Mother filled out and submitted a District internal form entitled “Special Education Intake and Placement Determination.” On the form, Mother stated that Student’s primary disability was “Autistic” and noted that he was non-verbal. She circled only two items on the form to describe Student’s previous program: SDC and LSS (speech and language). She also stated on the form that Student received OT and was in a self-contained classroom. The form permitted a parent to indicate other services, such as APE, Counseling and AB 3632, but Mother did not circle any of those items. 5. Mother also filled out a section of the form entitled “Special Needs/Concerns.” Under “Equipment,” she listed “Augmentative Communication Device.” She also noted that Student was unaware of danger and will wander off, and that he uses some sign language. In a part of the form labeled “Other Special Requirements,” Mother wrote ambiguous language regarding Student’s requirements for one-to-one help, that he needed help with communication, and referenced a “trained person.” Language on the form advised Mother that Student would be placed in an interim placement for 30 days, and that by the end of that period, an IEP team would review the placement and make a final recommendation. Mother signed the form, indicating her consent to the interim placement. 6. Underneath Mother’s signature, at the bottom of the form, District completed the Placement Determination section of the form. District assigned Student to Manzanita, with Ms. Orloff as his teacher. The form indicated that Student’s records would be distributed to the District File, SDC Teacher, LSS Teacher, APE teacher, and to the school nurse and the OT. 7. On May 23, 2006, at approximately the same time as Student commenced attending Manzanita, District convened an IEP meeting. The meeting was attended by Mother, Father, Ms. Monarch (the school psychologist), Ms. Orloff, Student’s special education teacher, and Ms. Rhinehart, a speech and language therapist. The IEP is denoted as an “addendum IEP,” and was not the interim IEP to review the Washington IEP. Rather, the May 23, 2006 “addendum IEP” was convened because the Washington IEP only provided for Student’s attendance at school for two hours per day. The Manzanita IEP team felt this was not sufficient for Student, and agreed that he should participate in a full-day program. The IEP team also noted that Student would benefit from ESY, which was not provided by the Washington IEP, and agreed that specialized transportation would be provided “home to school.” The team also noted that Student would be placed in an SDC in an integrated facility, for five days per week, that Student would receive speech and language therapy two times weekly, for 30 minutes per session, and that he would receive OT for 30 minutes, once per week. The IEP was signed by both of Student’s parents, indicating their consent to the IEP. 8. Student contends that his June 20, 2006 IEP did not provide him a FAPE. He alleges that the IEP goals and objectives were not based upon Student’s assessment results and were not reasonably calculated to provide him with an educational benefit. In particular, Student contends that the June 20, 2006 IEP did not provide for APE, a one-to-one aide, sufficient speech and language and OT services, behavioral services, or assistive technology in the form of a communication device. 9. A school district provides a FAPE if the school district’s program was designed to address the student’s unique educational needs, was reasonably calculated to provide the student with some educational benefit, and comported with the student’s IEP. If the school district’s program meets these requirements, then the district has provided a FAPE even if the student’s parents preferred another program, and even if parents’ preferred program would have resulted in greater educational benefit. An IEP is evaluated in light of information available to the IEP team at the time it was developed; it is not judged in hindsight. 10. If a student who is receiving special education services transfers during the academic year into another school district which is in a different Special Education Local Plan Area (SELPA), the new school district shall, within 30 days, adopt the student’s previously approved IEP, or it shall assess the student in all areas of disability and develop, adopt, and implement a new IEP. 11. A school district must perform an assessment every three years, but it has no obligation to assess a student more frequently than annually, unless the district and the parent agree otherwise. 12. An IEP team must consider whether the student requires assistive technology and, if so, the nature and amount of such services must be set forth in the IEP. If assistive technology is required to meet the student’s unique needs, and to provide the student with an educational benefit, then the district’s failure to provide it is a denial of a FAPE. 13. On June 20, 2006, District convened the statutory 30-day interim IEP meeting to review Student’s placement and program. The IEP team consisted of Mother, Father, Ms. Monarch (the school psychologist), Ms. Orloff (the special education teacher), Ms. Rhinehart (the speech and language pathologist), and the school nurse.3 The team noted Student’s primary disability as autism, and determined that 85 percent of Student’s day should be spent outside of the general education setting. The team determined that Student would participate in breakfast, lunch, recess, and assemblies with the general education students. The team determined that Student should be placed in an SDC, five days per week, with DIS services, and would be taught a functional skills curriculum. Student was also to receive ESY services. The team agreed that Student would receive speech and language therapy two times per week, for 30 minutes per session. The team also agreed that Student would receive OT one day per week, for 30 minutes per session. 14. The team agreed that Student would receive door-to-door transportation services. The team noted Student’s use of an icon communication system, and recommended that District perform an AT/ACC assessment. As of the date of this IEP, District had concluded no assessments of Student, but a report of an OT evaluation was pending, as is further discussed below. 15. The team did not recommend any behavior plan. Rather, the team decided that the “School/Classroom Management System” was sufficient. The team did not provide for a one-to-one aide. 16. The team determined that Student would take alternative statewide and district assessments. The team also designated various testing and classroom accommodations. For testing, these included giving extra time, testing over more than one day, testing individually, simplifying test directions, giving on-task reminders and verbal encouragement, and turning the pages for Student. The team also agreed upon classroom accommodations, to apply to all subjects. These included reading aloud, giving extra time, minimizing distractions, oral testing, no spelling or handwriting penalty, preferential seating, and giving extra space. Instructional strategies included checking work in progress, giving immediate feedback, using a multi-sensory approach, giving concrete examples, reviewing and repeating instructions, pre-teaching content, giving visual reminders and visual reinforcement, providing models, giving extra practice, and monitoring assignments. 17. The team noted that Student was receiving DIS services in speech and language and OT as of the date of the IEP. The team noted that Student liked to participate in group activities, enjoyed the outdoors and playing with a ball, that he was developing some eye contact, and that his attention span had increased. The IEP refers to the parents’ concerns about “behavioral issues,” such as Student’s screaming and making noises, “which have decreased.” The IEP reflects that parents discussed Student’s integration into the general education population. The team found, however, that Student’s cognitive, communication, social/emotional, self-help/independent living, and motor skills, as well as his general attention span, were significantly below the level of his peers, and those skills were not directly addressed in the general education curriculum. 18. The team reviewed Student’s present level of performance, and his goals and objectives, as set forth in the Washington IEP, and concluded that the goals and objectives contained in the Washington IEP continued to be appropriate. The IEP team attached pages from the Washington IEP to the June 20, 2006 IEP. Those pages stated goals and objectives in the areas of pre-academic skills, fine motor/pre-writing skills, daily living skills (ability to follow classroom structure and routine), adaptive/daily living skills (following a bathroom schedule) behavior (functional dining skills); and receptive and expressive language skills. 19. The Washington IEP was based upon several assessments of Student that occurred at various times in 2005. They included: (1) a speech and language evaluation completed on July 21, 2005, that was performed by Puget Sound Therapy Services (PSTS), a private clinic; and (2) a psychoeducation evaluation that occurred in either September or May of 2005.4 The Washington IEP stated that the meeting was convened at Mother’s request because of the family’s relocation to California. The team included Mother, a special education teacher, an OT, a speech and language specialist, a program specialist, and the school principal. Mother approved of the services provided in the Washington IEP. 20. The Washington IEP contained a “Summary of Services Matrix” that specified Student would receive communication services from a speech/language pathologist for 30 minutes, two days per week, and OT services for 30 minutes, one day per week. No APE services were specified, and no present levels of performance or goals and objectives for APE were identified in the body of the IEP. However, the body of the IEP noted that Student needed breaks involving physical activity, and structured motor learning activities. The Washington IEP stated, “For example: Chinook provided an adaptive PE class for [Student] for 20 minutes, 3 x a week.” The Washington IEP specifically stated that Student was not in need of ESY. The Washington IEP, like the June 20, 2006 IEP, did not include a behavioral plan, nor recommend a behavioral assessment. The Washington IEP, like the June 20, 2006 IEP, noted that, due to developmental delays, Student was unable to benefit from the curriculum in the general education environment. The Washington IEP stated that Student would join his general education peers at assemblies, recess, lunch, special social classroom activities and projects, field trips, after school activities, and at any other activity deemed appropriate by the IEP team. 22. The June 20, 2006 IEP team discussed Student’s classroom schedules and activities. The team also discussed speech and language services. The team stated that the Washington IEP provided 60 minutes weekly of speech and language services individually, but the Washington IEP did not describe group services. At the June 20, 2006 meeting, Mother expressed a desire for more individualized speech and language services. The team agreed to investigate the services provided in Washington, and to reconvene by October 15, 2006, to address Student’s needs. The team also noted that Student had previously been using a manual communication device, on which he had been working with two-word commands, and that he had worked with devices using 8-32 icons. The IEP does not reflect that Student’s parents mentioned a need for APE or for a one-to-one aide at the meeting. 23. The team agreed that Student’s then-current program was the most appropriate and least restrictive to meet his current needs. The team noted that progress reports would be provided each trimester. Mother and Father consented to the IEP, including, specifically, the eligibility determination, the goals and objectives, and the placement. 24. The June 20, 2006 IEP did not reference at least one matter that was mentioned in the present levels of performance section of the Washington IEP. The Washington IEP team noted that Student required “one-to-one supervision” in the classroom. The team also remarked that Student required close supervision because he can dart out of a room “at any opportunity” and that he moves “VERY fast. The Washington IEP does not designate a one-to-one aide, however, and does not specify any duties for such person. 25. The June 20, 2006 IEP also does not refer to two progress reports of Student that were generated by PSTS, but that were not relied upon in the Washington IEP because they post-dated the Washington IEP. One of the reports is an “Occupational Therapy Discharge Summary” dated April 26, 2006. The other report is a “Speech/Language Therapy Progress Summary/Discharge Note” dated May 16, 2006. Mother testified that she provided Ms. Orloff and the Manzanita receptionist with copies of these reports, but she was unable to remember when she delivered the reports. There was no evidence that the reports were mentioned by any participant at either the May 23 or June 20, 2006 IEP meetings, or were produced at either of these meetings. Mother does not recall whether she received the May 16, 2006 speech and language report prior to the June 20, 2006 IEP meeting. 26. The PSTS OT report reflects that Student had been receiving OT services at Chinook, as well as from PSTS. According to the report, PSTS rendered OT services once per week from September 17, 2003, through May 11, 2005, and again from October 26, 2005, through April 19, 2006. The length of time for each session is not noted. The OT report recommended that Student continue to receive OT services at school. The report also recommended that Student receive outpatient OT, “to continue addressing self-help skills, visual motor and fine motor skills, and especially to assist in sensory processing.” The report does not suggest the duration of the recommended OT sessions. 27. The PSTS Speech/Language Therapy Progress Summary/Discharge Note reflected that Student received services once to twice weekly during the period from September 2003 to June 2005, at which time services were discontinued due to Student’s family relocation to California. The report reveals that services were re-initiated weekly from January 2006, after Student’s family returned to Washington from California, through April 19, 2006, when PSTS discharged Student due to the family’s second relocation to California. The report specifically states that Student’s “ previous goals were re-established during this reporting, ” and notes that those goals remain appropriate for Student as of the time of his discharge. [Emphasis added.] The report discusses the goals, and Student’s progress with respect to them. The report notes that Student lost his Tech Speak device during the family’s move back to Washington from California in 2005, and that PSTS had generated a Letter of Medical Necessity so that another such device could be obtained. The report mentions that the Letter of Medical Necessity also requested certain communication software for Student’s functional communication skills. The report recommended that Student continue weekly speech and language service sessions, but does not recommend a duration for the sessions, nor specify whether the services should be provided on a group or individual basis. The report recommended that Student’s educational program offer a “total communication approach” to language learning, through use of visual supports such as signs, picture symbols, and voice output devices in the classroom. The report also recommended that visual supports, such as a visual timer, and picture/photograph schedules be an integral part of Student’s day; that his communication notebook should continue to be used, and that Student’s use of additional communication software programs should be investigated and addressed. 28. District’s program as set forth in the IEP of June 20, 2006, was appropriately based upon the Student’s assessment results that were relied upon in the Washington IEP. District was entitled to rely upon those assessment results, as no triennial assessments were due, and District was entitled to implement the Washington IEP rather than to perform its own assessments and develop its own IEP. The June 20, 2006, IEP provided the OT and speech and language services that were comparable to those designated in the Washington IEP, insofar as the team was able to determine at that time. The team agreed to further investigate the speech and language services provided in Washington and to meet by October 15, 2006, to further consider student’s needs. The June 20, 2006 IEP did not provide services that were not designated in the Washington IEP, such as APE, behavioral support services, an AAC device, and a one-to-one aide. Student’s assessment results, as described in the Washington IEP, did not specify that such services were required for Student to benefit from and access his education. 29. There is conflicting evidence as to whether District received the subsequent OT and speech and language reports prepared by PSTS, and there was no evidence that those reports were given to District prior to the June 20, 2006 IEP. However, those reports did not recommend any changes in the levels of OT and speech and language services Student was receiving as of the date of those reports. In this regard, neither the PSTS OT report nor the PSTS speech and language report recommended a specified number of hours of services that should be provided. Student presented no evidence that the District’s failure to consider the PSTS reports at the IEP meeting of June 20, 2006, caused Student any loss of educational benefit, or caused the IEP team to be misinformed about Student’s educational needs. To the contrary, the PSTS speech and language report specifically stated that the goals from its previous report were still appropriate. The speech and language goals from a previous PSTS report dated July 21, 2005, were specifically incorporated into the Washington IEP, and those goals were incorporated into the June 20, 2006 IEP. The IEP team was clearly aware that Student required OT and speech and language services. The speech and language report recommended the use of a communication device, but District’s IEP team had already recommended that an AT/ACC assessment be performed to determine whether a communication device was necessary. Student presented no evidence of any specific aspect of the PSTS report that would have affected the IEP team’s analysis of Student’s needs and its recommendations for services. 30. Judged from the perspective of the IEP team as of the time of the IEP meeting, the program set forth in the June 20, 2006 IEP provided Student a FAPE. It addressed Student’s unique needs in preacademic skills, motor skills, social skills, adaptive skills, and communication skills, by incorporating the goals and objectives of the Washington IEP, which were, in turn, based upon the results of appropriate assessments. The IEP was reasonably calculated to provide Student with an educational benefit. Indeed, the IEP team’s determination to provide Student with an educational benefit is demonstrated by its recommendation at the May 23, 2006 IEP meeting that Student be provided with ESY, which is a service that was not provided by the Washington IEP. 31. Student contends that District denied a FAPE because it did not provide the OT and the speech and language therapy Student required, behavioral support, APE, a one-to-one aide, and an AAC device. 32. To provide a FAPE, school districts are required to provide access to specialized instruction and related services which are individually designed to provide educational benefit. Additionally, the IEP team determines whether assistive technology and services are required, and the nature and amount of such services must be included in the IEP. If the school district’s program was designed to address the student’s unique educational needs, was reasonably calculated to provide the student with some educational benefit, and comported with the student’s IEP, then the school district provided a FAPE. 33. After the June 20, 2006, IEP, Student completed the 2005-2006 school year in Ms. Orloff’s special day class. The class contained approximately 10 students, with at least two or three adult aides in addition to Ms. Orloff. At the time Student joined the class, District had commenced instituting a “Center” program. This program consisted of various classrooms, each focusing on different skills that the students rotated through during a portion of the day. Student received both OT and speech and language services, pursuant to the May 23 and June 20, 2006 IEPs, and he was undergoing an OT evaluation, as is further described below. The level of OT services was subsequently increased, pursuant to an addendum to the June 20, 2006 IEP, which is also described below. Student received APE, because other students in his class had IEPs which required APE. Since APE often requires small group involvement, it was convenient for District to provide the APE to all of the children in Student’s class. Student joined the general education environment for breakfast, lunch, and recess. 34. During the month of July 2006, Student attended Buena Vista Elementary School (Buena Vista), also in the District, for ESY. He received OT there from Ms. Duran, pursuant to the addendum IEP of June 22, 2006, which is further discussed below. He also received speech and language therapy there, pursuant to his June 20, 2006 IEP. His ESY special education teacher was Ms. Fonda Abbey, whom Ms. Duran described as a highly skilled teacher. 35. On approximately September 5, 2006, Student commenced the 2006-2007 school year at Manzanita, in an SDC taught by Mr. Haddad with the assistance of four adult aides. Student’s class consisted of seven to eight students. The Center system continued to be implemented. Student received speech and language therapy, pursuant to his June 20, 2006 IEP, and OT at the increased level specified in the addendum to the June 20, 2006 IEP. However, District delayed providing Student’s OT and speech and language services for the 2006-2007 school year until approximately the first week in October, because District had difficulty contracting for staff for such services. Other than these lapses in OT and speech and language services, Student presented no specific evidence that he did not receive the speech and language and OT services as set forth in his May 23, 2006 IEP, or in his June 20, 2006 IEP and its addendum. Student presented no specific evidence that the OT and speech and language therapy that he received was insufficient to meet his unique needs and provide him with an educational benefit. 36. As he did during the 2005-2006 school year, Student participated in APE with other children in his class. He joined the general education environment for breakfast, lunch, and recess, as set forth in his June 20, 2006 IEP. Student used the PECS system, and Mr. Haddad and his aides used picture schedules in the classroom. Student did not have an AAC device. Mr. Haddad testified, without contradiction, that Student progressed in his curriculum during the time that Student was in Mr. Haddad’s class. 37. As was discussed above, Student received APE, even though no such service was specified in his IEP. District never provided Student with a one-to-one aide, behavioral support, or an AAC device. With respect to the one-to-one aide, the student/adult ratio in Ms. Orloff’s classroom and, in particular, in Mr. Haddad’s classroom, almost reached the level of one-to-one assistance. District provided the “close supervision” mentioned in the Washington IEP. Significantly, there was insufficient evidence that Student required a one-to-one aide. Whatever his conduct in Washington, there was no evidence that he ever ran away from class while at Manzanita, or that he required a one-to-one aid to help him communicate his needs. Ms. Duran testified that Student needed a one-to-one aide, but she did not include any such recommendation in her report of June 20, 2006, nor did she make any such recommendation to the District while she was providing OT services to Student during the ESY session in July 2006. Further, she had never observed Student at Manzanita during the 2006-2007 school year, while he was in Mr. Haddad’s classroom and receiving nearly one-to-one assistance. Ms. Duran’s testimony was largely based upon her talks with Mother and upon her recent observations of Student in connection with the private OT services she commenced providing him approximately two weeks before the hearing. Ms. Duran’s testimony is insufficient to support Student’s contention regarding his need for a one-to-one aide. 38. Both the Washington IEP and Student’s June 20, 2006 IEP noted that Student did not require a behavioral support plan. Student presented no evidence that, as of the time of the IEPs, Student required any behavioral support. With respect to the AAC device, as is further discussed below, District was attempting to arrange an IEP meeting to discuss the recommendations of the AT/ACC assessment that the June 20, 2006 IEP team had agreed should be performed, including the recommendation that Student receive an AAC device that was different than the Tech-Speak device that Student had previously used. Such an IEP meeting could also have included a discussion of the report’s recommendation that Student receive an FAA and behavioral intervention, and also the recommendations contained in the PSTS speech and language report dated April 21, 2006, which recommended the use of the Tech-Speak. These efforts were thwarted when parents removed Student from school. District is under no legal obligation to follow the recommendation of an assessment unless the IEP team meets to discuss the assessment and agrees upon appropriate services. Indeed, this situation illustrates the wisdom of holding an IEP to discuss assessors’ recommendations, since, in this case, there are two reports, each of which recommends a different AAC device. 39.Under all of these circumstances, Student’s contention that District’s failure to deliver appropriate services and technology denied Student a FAPE is not persuasive, except for the brief lapses in OT and speech and language services during the month of September 2006. The remedy for this denial of a FAPE is discussed below. 40. Student contends that his placement at Manzanita was not in the least restrictive environment. Student further contends that, in general, Manzanita was not a suitable environment for Student, since it was not clean and not safe, and the Center program was not an appropriate program for Student. 41. A student’s placement must be in the least restrictive environment. Removal from the regular education environment should occur only when the nature or severity of the student’s disabilities is such that education in regular classes with the use of supplementary aids and services cannot be achieved satisfactorily. The district’s choices of programs are entitled to deference. 42. Student’s placement in the SDC at Manzanita was in the least restrictive environment. He had opportunities to mingle with general education students during breakfast, lunch, recess, and assemblies. Student’s own expert, his privately retained OT therapist Carmen Rojas Duran, testified that Student was not ready to engage in more inclusion in a general education environment. Additionally, Student’s placement in the District constitutes a far less restrictive environment than his environment in Washington, where he was home-schooled for much of the day. Under these circumstances, Student’s contention that his placement at Manzanita was not in the least restrictive environment is unpersuasive. 43. Mother visited Manzanita approximately three times per week while Student attended school there, occasionally staying on campus for several hours. She communicated many times with Student’s teachers, aides, and providers during her visits. She testified regarding her observations, and comments made by the teachers and aides during her visits. She presented no other witnesses or documentary evidence in support of her testimony regarding these matters. She testified that the school was unclean, and she cited two of Student’s absences from school in fall 2006 due to illness as evidence of the school’s uncleanliness. She also testified that a beanbag chair being used by another child in one of the classrooms during Center time was not clean. She testified to isolated incidents in which she observed a child who was unsupervised, or who was in an inappropriate classroom. She testified that she once observed that Student was not engaged while in the sensory room during Center time, and, on a few occasions, he was not engaged in a group activity. Mother also testified that one or two aides had mentioned that she should be careful that Student was supervised. Mother considered the school personnel “hostile” to students. However, the only evidence of any such hostility was Mother’s testimony of hearing Ms. Orloff “yell” at a child in the bathroom, and that Student appeared to Mother to be reluctant to attend school on two or three occasions. There was no evidence of any hostility of a teacher or an aide that was directed to Student. Student sustained a minor injury at school in October 2006, when another child bit him while he was on the playground. 44. The police had been called to the school twice during 2006 because of allegations of abuse of special education students at the school, and one parent had complained of such abuse at the school in 2006. 45. Ms. Duran, Student’s expert witness, had observed Manzanita’s Center program when the school commenced implementing it during the latter part of the 2005-2006 school year. She testified that, because the program was just being implemented at that time, the school environment then was chaotic and stressful. She did not observe Student’s participation in the Center program at that time. Nor did she observe the Center program, or Student’s participation in it, during September and October 2006. Student presented no evidence that his participation in the Center program adversely impacted his education. 46. Student’s contentions regarding the suitability of the school environment are neither legally nor factually sufficient to warrant any relief. Mother’s dissatisfaction with the Center system is not determinative of the adequacy of Student’s educational program. With respect to Mother’s concerns regarding the general environment and ambience of the school, Student presented no evidence, besides Mother’s subjective and untrained opinion, that Student’s two absences from school during the fall of 2006 due to illness were due to an unclean school environment. Student presented no evidence that Student or any other child had been abused, or that any adults at school were hostile to him. Except for the incident when another child bit him, there was no evidence that Student was directly harmed or even adversely affected by any lack of safety or security at Manzanita. 47. Student presented no specific evidence that any aspect of the school environment negatively impacted his progress or his ability to access his education. District presented evidence that Student’s placement and program at Manzanita were appropriate for him. The law defers to the school district with respect to the type of program selected for a student. Student’s placement at Manzanita was appropriate, and it was in the least restrictive environment. 48. Student contends that his teachers, service providers, and aides were not qualified to teach autistic students such as Student. Specifically, Student contends that Mr. Haddad was not familiar with the acronym ABA (Applied Behavior Analysis), which is a teaching method for autistic students. Mother also testified that Ms. Martinez, Student’s OT during October 2006, had stated to her that Ms. Martinez “did not know how to teach Student.” Mother testified that when Ms. Martinez first commenced providing OT to Student, she had requested that Mother sit with Student to assist during an OT session, because she did not know how to engage Student. Mother also testified that she had queried several classroom aides regarding their training in the areas of supporting students’ attempts to communicate, and behavioral modifications. In Mother’s opinion, the aides were not properly trained so as to be able to assist Student. 49. Student’s classroom teachers, Ms. Orloff and Mr. Haddad, possessed special education credentials which permitted them to teach autistic students. They both had received training in crisis prevention and intervention from the Non-Violent Crisis Institute. District was fully compliant with respect to staff’s qualifications pursuant to the No Child Left Behind Act. Mr. Haddad had been a special education teacher for seven years at the time of the hearing. During Mr. Haddad’s first six years of teaching, he had taught children whose primary eligibility was emotional disturbance. Ms. Duran testified that she did not know Mr. Haddad, but that Ms. Orloff was qualified to teach Student. 50. Mr. Haddad was familiar with Student’s goals, as set forth in the June 20, 2006 IEP. Mr. Haddad was also familiar with discrete trial teaching. Discrete trial teaching is a form of ABA. He and Ms. Orloff, Student’s teacher at the end of the 2005-2006 school year, used a variant of TEACHH (Teaching and Education of Autistic and Related Communication-handicapped Children) in their classrooms. 51. Student presented no evidence as to any of his OT therapists’ credentials, except for those of Ms. Duran, Student’s expert witness, who provided OT to Student during the 2005-2006 extended school year, and privately after he ceased attending school. Student has raised no issue regarding the qualifications of Ms. Duran. Ms. Martinez provided OT services to Student during October 2006. No evidence was presented as to the context in which Ms. Martinez’s comment regarding teaching Student occurred. Mother presented no witnesses or documents to support her testimony regarding Ms. Martinez’s comment. No evidence was presented as to what Ms. Martinez meant in making this comment. In view of the evidence that Mother was frequently present at school, and commonly spoke with school personnel, evidence as to the context in which this comment was made is particularly important. The comment could have been intended as an offhand, flippant remark, or could indicate nothing more than that Ms. Martinez was venting a passing frustration to a familiar face. Ms. Martinez’s invitation to Mother to observe and assist during an OT session is also insufficient to demonstrate that Ms. Martinez was not qualified to provide OT services to Student. Rather, such an invitation, depending upon the context, could demonstrate Ms. Martinez’s dedication to providing the best OT services possible to Student, by seeking Mother’s input and advice, especially when Student and Ms. Martinez were just becoming acquainted with each other. Ms. Martinez’s conduct and conversation may have made Mother uncomfortable, but Student has not provided sufficient evidence that Ms. Martinez was unqualified to provide OT services to Student. 52. Student presented no evidence as to the credentials of Student’s speech and language therapists, nor any other evidence which would bear upon their qualifications to provide services to Student. Student presented no evidence that the classroom aides lacked sufficient education or training such that they were unqualified or unable to perform their duties. 53. Under these circumstances, Mother’s contentions that Student’s teachers, providers, and aides were not qualified are not persuasive. 54. Student contends that District failed to assess Student in all areas of suspected disability and/or failed to appropriately assess Student. disability, and no single procedure may be used as the sole criterion for determining whether the student has a disability or whether the student’s educational program is appropriate. A school district must perform an assessment every three years, but it has no obligation to assess a student more frequently than annually, unless the district and the parent agree otherwise. Assessments must be performed in a timely manner. A failure to properly or to timely assess may be a procedural violation of the IDEA. A procedural violation is a denial of a FAPE if it significantly impeded the ability of the student’s parents to participate in decisions regarding the student’s education, or deprived the student of an educational opportunity. 56. A functional analysis assessment (FAA) is performed and a behavioral intervention plan is developed when the student exhibits a serious behavior problem that significantly interferes with the IEP’s implementation. Behavioral interventions are designed to eliminate maladaptive behaviors that inhibit the student’s ability to access the student’s education, and to encourage positive behavior so that the student may be educated in the least restrictive environment. A failure to perform an FAA may be a procedural violation of the IDEA. 57. District did not perform a psychoeducational assessment of Student upon his enrollment in the District. According to the Washington IEP, the most recent psychoeducational assessment occurred in 2005. Consequently, a triennial assessment was not due until 2008. During Student’s attendance at the District, the District performed an OT assessment and an informal behavioral observation, and was in the process of arranging an IEP meeting to discuss the AT/ACC assessment that the June 20, 2006 IEP team had recommended. 59. District appropriately assessed Student with respect to OT. District did not seek nor obtain parental consent to assess Student for OT, but there is no evidence that these lapses deprived Student’s parents of the opportunity to participate in Student’s education, or deprived Student of an educational benefit. Indeed, Mother was pleased with the services Ms. Duran provided, and, as of the time of the hearing, had retained Ms. Duran to provide private OT therapy to Student as well as to serve as an expert witness at hearing. District promptly acted upon the results of Ms. Duran’s evaluation, and provided the OT for 60 minutes, one time per week, as she recommended. 60. On June 20, 2006, at the IEP meeting, Father signed an assessment plan for an AT/AAC assessment. The assessment was recommended by the IEP team to determine Student’s need for an AAC device. Student’s use of such a device had been listed by Mother in the intake form she completed at the time of Student’s enrollment in the District. Student had used such a device previously, until no later than December 2005, by which time the device was lost during a move by Student’s family from Washington to California. 61. When District contacted the assessor, Dynamic Therapy Solutions, at some point prior to July 19, 2006, the assessor informed District that Student, through his Kaiser Health Plan, had already retained them to assess Student. Therefore, assessor stated that there was no need for District to order an additional assessment, as the results would be the same. 62. Dynamic Therapy Solutions evaluated Student on July 19, 2006, and produced a report dated August 15, 2006, during the District’s summer vacation period. The report evaluated Student’s motor abilities and sensory abilities, and discussed the features of appropriate AAC devices for Student. The report concluded that a MiniMerc communication device would best meet Student’s needs, and that it should be carried with him across all environments. The report recommended four individual AAC therapy sessions and three-week rental of a MiniMerc to develop a home based AAC program, to provide training in use of PECS and use of the MiniMerc, and to determine if the MiniMerc was the optimal system for Student. After the individual sessions and the rental of the MiniMerc, the report recommended that Student be re-evaluated for AAC. The report also recommended that Student receive an FAA and a behavioral intervention plan (BIP), as his behaviors were significantly impacting his communication skills; that Student continue to use his other communication methods, such as PECS and word boards; and that a communication logbook be used, both to improve communication among Student’s teachers, therapists, and parents, as well as to document Student’s attempts to communicate. 63. District received the Dynamic Therapy Solutions report at approximately the time it was generated. Mr. Haddad, who became Student’s SDC teacher in September, commenced efforts to arrange an IEP meeting with Student’s parents to discuss the recommendations of the report. Mr. Haddad attempted to arrange the meeting to be held by October 15, 2006, as was contemplated by the IEP of June 20, 2006, but Mother stated that she wanted Father to attend the meeting, and Father was not available until November 2006. Mr. Haddad continued attempting to communicate with Mother to set the meeting for November 2006. However, Mother did not respond to his efforts. Student did not return to school after approximately October 20, 2006, but the parents did not advise Mr. Haddad, or any other District personnel, that they were removing Student from school. Mr. Haddad and his classroom aides unsuccessfully attempted to contact Mother, on several occasions, both to learn why Student was no longer attending school, and to arrange a date for the IEP meeting. Mother eventually responded to these inquiries and advised that Student would not be returning to Manzanita, and that she and Father would not attend an IEP meeting. 64. District acted properly with respect to the AT/AAC assessment. District promptly presented parents with an assessment plan, and obtained consent to assess. District timely contacted the assessor regarding the assessment, and received the report during the District’s summer break. When school commenced in September, District, through Mr. Haddad, attempted to convene an IEP meeting by October 15, 2006, as had been previously agreed to by the IEP team, to review the assessment. Mother requested that the meeting be held in November. Despite District’s attempts to arrange the meeting, the meeting was never held, because, after approximately October 20, 2006, Student’s parents refused to permit Student to attend Manzanita. Under these circumstances, District fulfilled its obligations with respect to this assessment. It was prevented, by the parents’ own conduct, from doing anything further with respect to this assessment. District was not legally required to provide Student with any services or devices recommended by the assessment in the absence of an IEP meeting to discuss the assessment. District did not deny Student a FAPE by not proceeding with the recommendations of the assessment, and by not providing Student with an AAC device. 65. In mid-October 2006, approximately two days before Student’s parents elected not to send him to school, Student’s Mother verbally requested that District perform a behavioral evaluation. Mother was concerned about Student’s tendency to grunt loudly. Mother wished to determine the significance of the grunting, and was concerned that the grunting was socially unpleasant and distracting. Ms. Monarch, the school psychologist, was also District’s Behavioral Intervention Case Manager. Ms. Monarch advised Student’s Mother that she was qualified to observe Student’s grunting behavior, and that she would do so. The next day, Ms. Monarch observed Student during his school day, and concluded that she needed to conduct additional observations of Student to obtain more data regarding his grunting. She discussed her observations with Mother. Ms. Monarch assumed that she would continue to observe Student and that her findings would be discussed at the IEP that was in the process of being scheduled. 66. District acted properly with respect to the behavioral screening. The Washington IEP did not include any behavioral support program, nor did the June 20, 2006 IEP. The only indications that Student required behavioral intervention were Mother’s concerns, as expressed to Ms. Monarch, and the Dynamic Therapy Solutions AT/ACC report. The AT/ACC report was vague as to the particular behaviors which Student exhibited so as to support the report’s recommendation for an FAA and a BIP. Further, as was discussed above, District never had the opportunity to convene an IEP to discuss the recommendations of the Dynamic Therapy Solutions AT/ACC report. 67. Ms. Monarch promptly responded to Mother’s concerns by observing Student. Because Mother had removed Student from school, District was unable to formally consider Ms. Monarch’s observations, or to take further action. Under these circumstances, District did not deny a FAPE by not providing an FAA or behavioral support services to Student. 68. Student seeks reimbursement for the assessment that his parents privately obtained from Dynamic Therapy Solutions. A district may be required to reimburse parents for an IEE if the parents requested an assessment, and the district unreasonably refused the parents’ request, or if the parents did not agree with an assessment performed by the district. 69. Neither of these situations exists here. 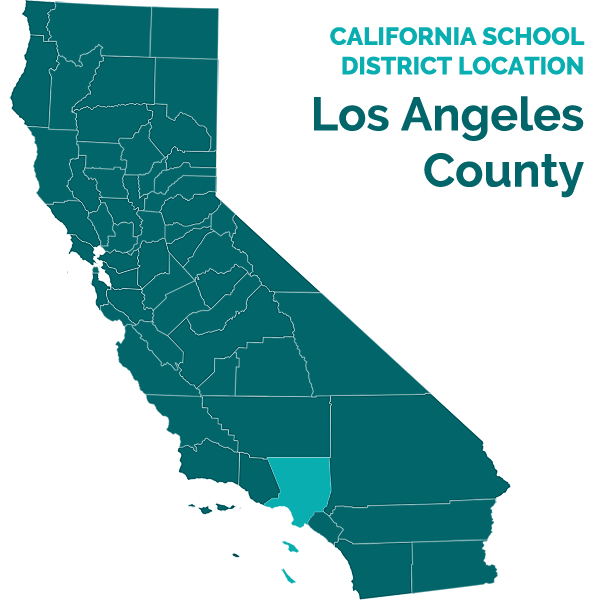 District agreed to perform the AT/ACC assessment, and was in the process of timely arranging for the assessment when District learned that Student’s parents had initiated the assessment themselves. Furthermore, the parents’ assessment was being performed by the same provider, Dynamic Therapy Solutions, with whom District intended to contract to perform the assessment. Student’s parents did not give District sufficient time to perform the assessment prior to arranging for a private assessment. Moreover, Student failed to provide any evidence as to the cost of the assessment that his parents obtained.8 Under these circumstances, Student is not entitled to reimbursement for the assessment. 70. Compensatory education is an equitable remedy that is available to a Student who has been denied a FAPE. District denied Student a FAPE by failing to provide speech and language services and OT services, pursuant to his IEPs and the addendum IEP, during the month of September 2006. Compensatory education is appropriate to offset this deprivation. According to Ms. Duran’s testimony, one hour per week of individual OT services would be sufficient compensatory education for OT. 71. Student missed approximately four hours of speech and language services, by reason of District’s failure to provide such services during the month of September 2006. Since speech and language is a major area of need for Student, and since Student is currently being home-schooled, the Student is entitled to compensatory education in the amount of four hours of individual speech and language services. 72. District is to provide the OT and speech and language services over a period of 60 consecutive days, at a location to be selected by and convenient to Student. 15. An IEP is evaluated in light of information available to the IEP team at the time it was developed; it is not judged in hindsight. (Adams v. State of Oregon (9th Cir. 1999) 195 F.3d 1141, 1149.) “An IEP is a snapshot, not a retrospective.” (Id. at p. 1149, citing Fuhrmann v. East Hanover Bd. of Education (3d Cir. 1993) 993 F.2d 1031, 1041.) It must be evaluated in terms of what was objectively reasonable when the IEP was developed. Issue 1A: Did District deny Student a FAPE from May 2006, through the present, by the failure of Student’s IEP of June 20, 2006, to include appropriate goals and objectives which were based upon Student’s assessment results and which were reasonably calculated to provide him with an educational benefit? 18. As is stated in Legal Conclusions 1 through 6 and 10 through 15, District provides a FAPE if its program was designed to address the Student’s unique educational needs, and was reasonably calculated to provide the Student with some educational benefit. Based upon Factual Findings 1 through 7, and 13 through 30, District did not deny Student a FAPE. Issue 1B: Did District deny Student a FAPE from May 2006, through the present, by failing to provide Student with DIS, behavioral support, a one-to-one aide, and assistive technology necessary to access his education? 19. Relying on Legal Conclusions 1 through 6 and 10 through 16, and based upon Factual Findings 1 through 7, 13 through 30, and 33 through 39, District provided Student with all of the services necessary to access his education, except that, during the month of September 2006, District did not provide Student with all of the OT and speech and language services required by the June 20, 2006 IEP and its addendum. Issue 1C: Did District deny Student a FAPE from May 2006, through the present, by failing to provide him with an appropriate placement in the least restrictive environment? 20. As is stated in Legal Conclusions 1 through 6, and 10 through 15, District must place Student in the least restrictive environment. As long as District’s program provides a FAPE, it does not matter that the Student or his parents prefer another program. Based upon Factual Findings 1 through 7, 13 through 30, 33 through 39, and 41 through 47, District placed Student in the least restrictive environment, and in an appropriate environment. District did not deny Student a FAPE. Issue 1D: Did District deny Student a FAPE from May 2006, through the present, by failing to provide qualified personnel to render special education and related services to Student? 21. Relying on Legal Conclusions 1 through 5, and 10 through 15, and based upon Factual Findings 1 through 7, 13 through 30, and 43 through 53, District personnel were qualified to render special education and related services to Student. Issue 2: Did District deny Student a FAPE from May 2006 through the present, by failing to assess him in all areas of suspected disability, or by failing to appropriately assess Student? 22. Relying on Legal Conclusions 1 through 16, and based upon Factual Findings 1 through 7, 13 through 30, 33 through 38, and 57 through 67, District properly assessed Student with respect to OT, properly engaged in the assessment process with respect to AT/ACC, and properly commenced a behavioral observation. There was no evidence that Student’s classroom behavior demonstrated the need for an FAA and a BIP. Issue 3: Is Student entitled to reimbursement for the AT/ACC assessment performed on July 19, 2006, by Dynamic Therapy Solutions? 23. Relying on Legal Conclusions 8, 9 and 11, and based upon Factual Findings 1 through 7, 13 through 30, 37 through 39, 57, 60 through 64, and 69, Student is not entitled to reimbursement for the AT/ACC assessment performed on July 19, 2006, by Dynamic Therapy Solutions. Issue 4: Is Student entitled to placement at another school, compensatory education, assistive technology devices and additional services, including additional OT, speech and language therapy, assistive technology therapy, and one-to-one aides? 24. Relying on Legal Conclusions 1 through 17, and based upon Factual Findings 1 through 7, 13 through 30, 33 through 39, 42 through 47, 49 through 53, 57 through 67, and 69 through 72, Student is entitled to compensatory education for OT and speech and language therapy, because District denied her a FAPE during the month of September 2006. He is not entitled to additional services or other relief, because the District did not otherwise deny him a FAPE. 1. District shall provide one-to-one OT to Student for 60 minutes, one time per week, for four weeks, over the course of 60 consecutive days. 2. District shall provide one-to-one speech and language services to Student for 60 minutes, one time per week, for four weeks, to be provided over the course of 60 consecutive days. 3. All services are to be provided at a location convenient to Student, with District responsible for providing transportation for Student to and from the site where the services are rendered if they are rendered at a location other than Student’s home. 4. All speech and language services ordered herein are to be provided through qualified personnel. The personnel providing the services may be on the staff of District, or, at District’s option, it may contract with a qualified NPA to provide the services ordered herein. Education Code section 56507, subdivision (d), requires that this Decision indicate the extent to which each party prevailed on each issue heard and decided in this due process matter. Pursuant to this mandate, it is determined that the Student prevailed on a portion of Issue 1B and a portion of Issue 4. District prevailed on Issues 1A, 1C, 1D, a portion of Issue 1B, Issues 2 and 3, and a portion of Issue 4.